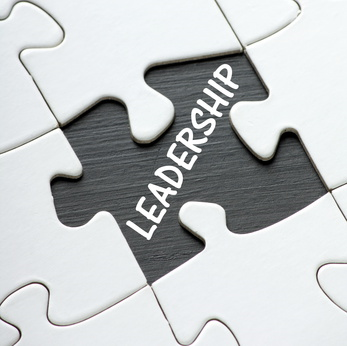 There are many outward roles and functions in a leadership position. Typically, the outward outshines the inward workings of leadership. This is the reason why a lot of leaders spend most of their time, energy, and focus on the outward aspects of leadership. Or, what people can see. The problem though, is that the inward workings or functions of a person drive the outward, consciously or unconsciously, 100 percent of the time. Often, a leader can forsake or not place enough attention on themselves, who they are as a person because they are spending too much time on outward results. It takes hard work to stop long enough to look into who you truly are as a person and courage to accept what you see. Or, what people can’t see, at least right away. The ultimate rule of leadership is to knowing yourself. If you are not grounded through your values and beliefs, credible through your judgment, emotionally mature through your ability to analyze yourself and connect with others, and willing to learn and grow as a leader, you will not be prepared to be a strategist, executor, talent manager, or human capital developer. Who you are becomes a key predictor of what you can help others to become. When you have personal insights into yourself, you will be more able to lead others. Let’s look into both knowing and accepting yourself. Having the personal insight into yourself means you know and are aware of your personality, emotional tendencies, strengths, weakness, and the deep rooted elements that drive you. You need to take the time to learn about yourself and how you have been uniquely created. A person can discover themselves through self-reflection, personal evaluation, digging up and resolving any life milestones or issues that have shaped them into the person they are today, and investigating and learning about the above personal insight areas. In time you will discover yourself and know how you have been created. You can then make any necessary changes or focus more of your attention on certain characteristics or qualities. Questions: Do you truly know and accept yourself? What benefits have you seen from those two areas? High school students need to hear this message! I have so many who don’t give themselves enough credit for what they CAN do. Anyplace worth going will be a challenge to reach. Accept your starting point, and do what you can do. Great post! Great thoughts, we can often do more than what we think possible. Thank you for sharing your wisdom Mark! For me knowing myself helps keep me on track. Of course my values are key but also another thing to know is what are your emotional triggers. What makes you excited, what makes you angry. Emotions have away of clouding our good judgment. I have learned (and am still learning) to detect when my emotions might be leading me off track. For me that means i give just about all major decisions an minimum 24 hour cooling off period. Accept myself has been a huge one for me. Being an introvert and naturally shy means i have to be more intentional in certain situations but there is nothing wrong with being an introvert.. I also have to know that my self-validation comes from my faith and from me. I can’t be bothered (not always easy) by the opinions of others. Powerful thoughts Jon! Being able to be aware and control our emotions is essential, it’s something that requires a lot of energy and focus. Great idea about having a “24 hour cooling off period.” I’ve had to take a walk or deep breaths at times when I’m feeling emotions (like anger or frustration) to make sure my attitude and behavior is appropriate. Knowing God has created you (us) uniquely and that we are a one of a kind can really help us to accept our self’s. Knowing who we are, both strengths and weaknesses, is empowering. IT allows us to function higher because we can utilize our strengths while working on developing our weaknesses. it also gives us the freedom to let others work in their strength without us feeling threatened. Also, realizing we all have weaknesses increases our acceptance of imperfections. We all need to accept and give grace for all our weaknesses. It sure is empowering! Thank you for your insightful comment about strengths and weakness.